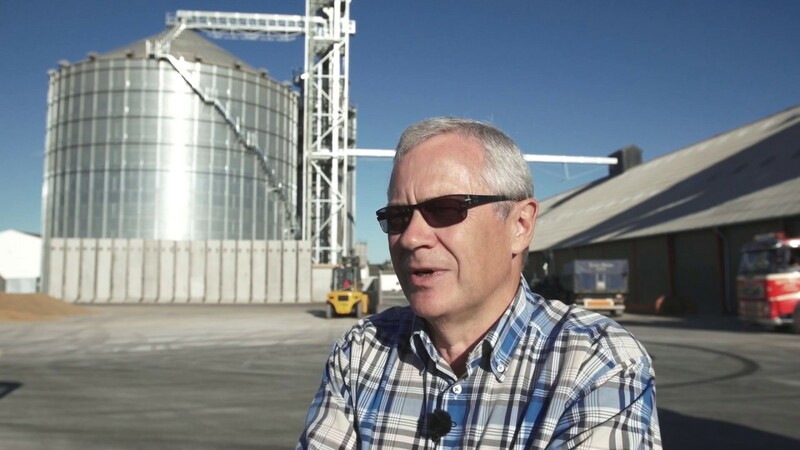 We have 60 years of experience within the line of project engineering and construction of installations for grain handling, storage and conveying. We offer small and XL projects and everything in between! Our Project Department ensures the highest quality standards from receiving the order until the installation is ready for operation. The same project manager will follow your project from A-Z. Find out why Hornsyld Koebmandsgaard have chosen Sukup Europe for their new major industrial project in Hornsyld, Denmark. The film explain how their specific needs have been covered and the well-functioning collaboration they experienced with our assembly team and project consultant. The diameter of industrial stell silos is typically quite large and therefore it might be necessary to divide the roof sheets into more sections. The roof sheets are mounted on strong steel rafters. This means that the load capacity of the roof is increased giving the option to mount heavy equipment like catwalks and heavy conveyor systems above the silo. Furthermore it is possible to mount a large number of sensor cables for temperature monitoring. Interested in our Industrial Silo Catalog? Get an overview of technical specifications, measurements and detailed image material in our catalog.